Biography: Oyku Karayel has a twin sister. She took acting lessons from Kenter Theatre and then, studied at Istanbul University State Conservatory Theatre. Oyku Karayel took part in various theatre plays such as Good Things Are on Our Side (Guzel Seyler Bizim Tarafta) at Theatre Krek and Murderer Joe (Katil Joe) at Moda Sahnesi. Biography: Mehmet Kurtulus is the son of a Turkish family who migrated to Germany for work. He grew up in Salzgitter, Germany. His brother Tekin Kurtulus is also an actor and took part in tv series Lenßen & Partner broadcasted in German Sat.1 tv channel. 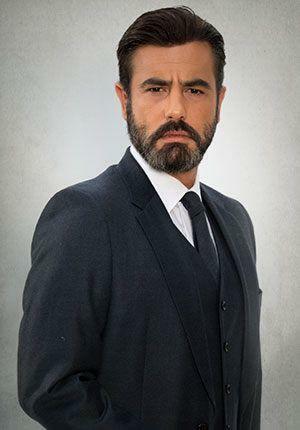 Mehmet Kurtulus started his acting career in 1989 at his school theatre in Fredenberg, Germany. After graduating in 1991, he continued theatre as an amateur. In 1993, he became a professional theatre player and started to work at Braunschweig State Theatre. In 1995, he acted in theatre play named Komödie am Winterhuder Fährhaus in Hamburg. During that time, he was recognized by popular actress Evelyn Hamann and started to take part in TV series named Episode. After he acted as a lead character in movie Kurz und Schmerzlos (Kısa ve Acısız), Mehmet Kurtulus became very popular. Biography: Aslihan Gurbuz was born in Gallipoli (Canakkale). Due to his father’s job, her family moved to Bursa and Aslihan Gurbuz went to primary school there. She studied at Vocational School – Accounting and Computer. After graduation from Conservatory, Aslihan Gurbuz made her debut at popular Turkish drama Beyond Clouds (Bir Bulut Olsam). She took part theatre play named Zorla Guzellik in 2008 at Kenter theatre. Biography: Tulin Ozen’s mother and father are both engineer. She took part in various children theatre plays while she was going to high school. After high school, she studiet at electric engineering. But, she dropped out the engineering faculty while she was at the 3rd year. Then, she started to study at conservatory (theatre). Dilek (Ayca Erturan), Mine (Yildiz Cagri Atiksoy), Esra (Birce Akalay), and Seray (Ebru Cundubeyoglu) are four childhood friends. They are all married and have totally different lives. However, their lives intersect again when they have discovered their husbands’ affairs. Dilek is a perfect housewife who dedicates her life to her daughter and her husband. Mine is a successful baby doctor who tries to get pregnant and care for her own baby. Esra is a police officer who cannot forget her mother’s death and for this reason, never forgives her father. Seray is a beautiful actress who tries to remain popular as she ages.